This design was requested by Christina to symbolize the difficulties she has overcome to reach her second birth. 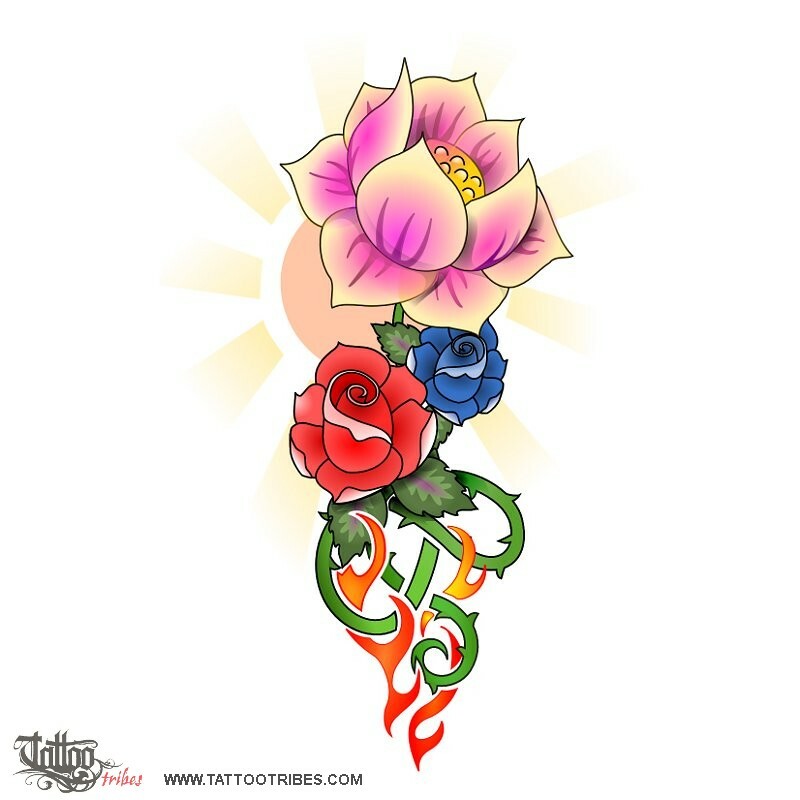 From bottom to top the fire is a symbol of change and mutability, and of pain as well, and thorns are symbols of hard times too. 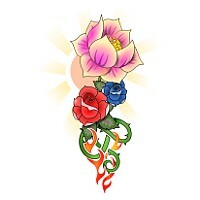 From here, with the help of her mother (the red rose = love) and of her friends (the blue rose = hope, just like the leaves of the roses), she reached the start of her new life (the sun which is pink instead of golden to represent the dawn of this new "day", where the lotus flower represents overcoming the adversities towards a perfect new life. The style comes from the old school, but we used more colours than the original usual ones.